There are times I purchase new things just to try (and blog about) and end up a little angry at myself for putting money on products I'll never use again, but such is the occupational hazards that come with beauty blogging, I suppose. 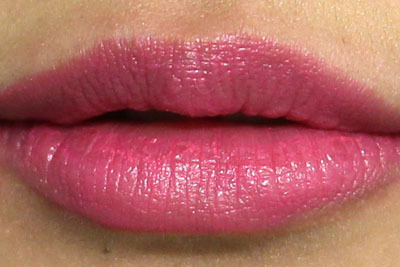 With that, I give you NARS Larger Than Life Lipgloss in Born This Way. With the successful launch of the Larger Than Life Eyeliners, NARS followed it with lip glosses bearing the same moniker. With that, the greatest expectation I had from the gloss was that they would be long-lasting. 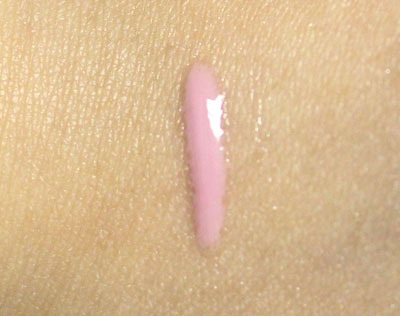 I forgot to take a picture of the brush (you can see it here on Karla Sugar), but it is shorter than what you get from most lip glosses, which means you get less product per "dip" into the tube. Nevertheless, the gloss is well pigmented, and does not feature any discernable scent. Unfortunately, I couldn't wear it long enough to actually test the lasting power of the gloss. Upon application, I cringed at how thick and sticky the gloss felt. 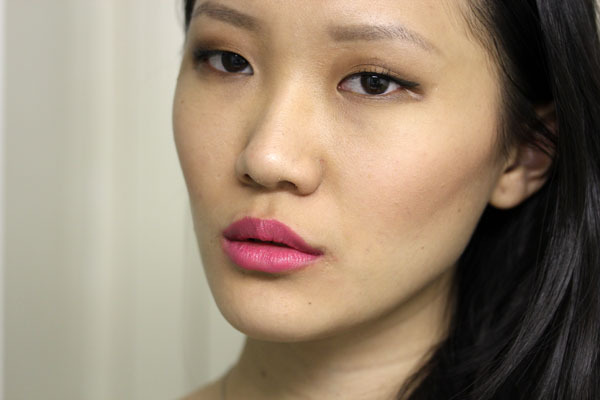 The shortness of the brush hindered a smooth and complete application on first go, and I had to dip it in a few times before I could even out the color on my lips. Smacking my lips together made matters worse, as my lips were stuck together for a moment after. I wiped it off a couple of hours in because I couldn't stand the feeling on my lips. Based on the assumption that the stickier a gloss is, the longer it would last, I'd say the Larger Than Life Lip Glosses will go the distance. Pity, since it does look great layered. I feel like I should disclaim that I am very much spoiled by the Le Métier de Beauté crème/gloss formula, and relish the feeling of not knowing I have product on my lips when I actually do. Due to that, I have an extremely harsh opinion toward lip products that are at all sticky/uncomfortable. If you were interested in these glosses, I still urge you to try them out yourself if you have a counter near you. After all, I might just have princess lips! NARS Larger Than Life Lip Gloss in Born This Way retails for $26 and should be available at NARS Cosmetics counters (for some reason, it is not available at narscosmetics.com or sephora.com, but could be found at drugstore.com). I purchased mine at Barney's New York. LOVE the combo of Belgravia and Born This Way! It looks absolutely gorgeous on you, fiancée! The color isn't bad on you at all Xiao (though I personally cannot wear milky pinks in the least), but if you're not diggin' the texture either, then it sounds like it's pretty much a write-off. I've given these a look and I dislike the shorter brush as I feel like I'd have to 'go back for seconds' each and every time I'd use it! I completely know where you're coming from regarding buying things for the blog and sometimes being disappointed! Definitely a hazard of the 'job'. 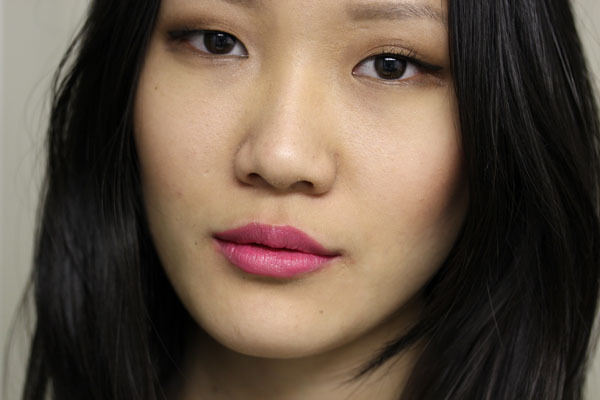 It does look great layered, but I've stayed aways from NARS glosses. I keep hearing about them tasting and smelling like plastic so that scares me enough to not get one. I got this gloss in Place Vendome. I loved the bright color! But like you, could not stand how it felt on my lips. I have been spoiled by other lip glosses that feel like I have nothing on my lips. Tried layering it but that wasn't any better. You do have some gorgeous color combinations showing it layered! Hmm milky pink doesn't do well with me either but you are right about it looking great when you layer it with the Chanel lipstick! The color looks gorgeous on you! But indeed NARS glosses are blech to me (despite the pretty colors). That is a gorgeous lipgloss. I want it.